Listed at the bottom of this page is all this years current events. Bitterne Park Golf Society was the brain child of two founder Members, Chris Littlecott and Martin Ralfs. Our first outing was played at East Horton Golf Club on June 16th 2001 and was attended by 28 players. Since then the Society has had a regular following and brings on new Members every year. During our first seven years, we have played a “Captains Day” each September and raised over £20,000 for local Childrens & Hospital Charities,and we are very proud of this effort. Come and play within our society, we meet every month running a league that lasts 10 months, best 7 from 10. Only “Stableford” format played, to make it fair with high and low handicap players playing together. A typical day will include winner, best front 9, best back 9, nearest the pin and nearest the pin in 2. Most games have bacon roll and coffee, some have full english breakfast, vegetarians are catered for. You can become a Member by paying a one off £10.00 fee, this will get you reduced green fee’s in our society, otherwise you would pay a guest fee each time of £5.00 on top of the day’s costs! League Cup (Members Only), Pairs Cup, Par 3 Challenge Cup, also some trophies throughout the year. We try to run the Society with a flair for fun, the usual banter and storytelling in the Club House. Ladies are also included and are very welcome as regular players and Members. 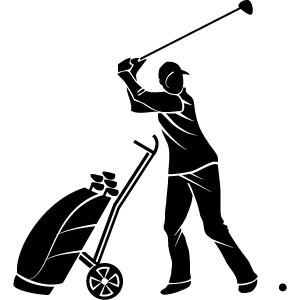 So if you are looking for a day of Golf once a month or to even join our Committee Team and help out with the organisation and running of the Society, please feel free to contact us at the Club or speak to our Society Secretary :-Garry Noss on 07905 831941 or Committee Member Chris Littlecott on 07842 438206 and we will be happy to give you further information. New Members CAN’T win the main prize on the first time of playing.